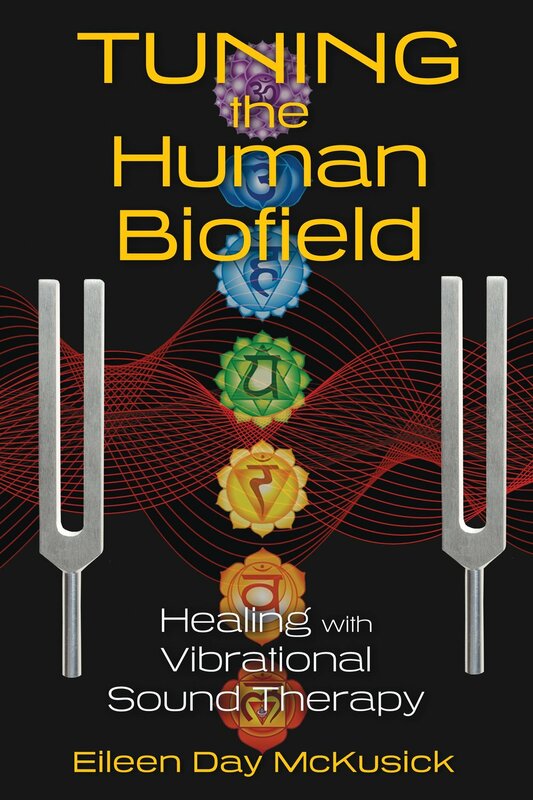 In this episode, a chat with Eileen Day McKusick, author of “Tuning the Human Biofield: Healing With Vibrational Sound Therapy”. Topics discussed include her career in energy healing, sound balancing, the human biofield (aura), frequency and vibration, the electric universe, consciousness, and more. Buy Eileen’s book on Amazon here. Visit her online at BiofieldTuning.com. Eileen is a researcher, writer, educator, and practitioner who has been studying the effects of audible sound on the human body since 1996. She is the originator of biofield tuning (formerly called sound balancing), a unique therapeutic method utilizing tuning forks; she’s also the founder of the Biofield Tuning Institute in Burlington, Vermont. Her extensive research and practice in the field of therapeutic sound spans both the academic and alternative realms. Eileen has a Master’s degree in Integrative Education, and has taken a break from her PhD studies on Integral Health and Biofield Science in order to work on her second book. She has trained and worked as a massage therapist, yoga instructor, sound healer and wellness educator, and has also had a successful parallel career in business.